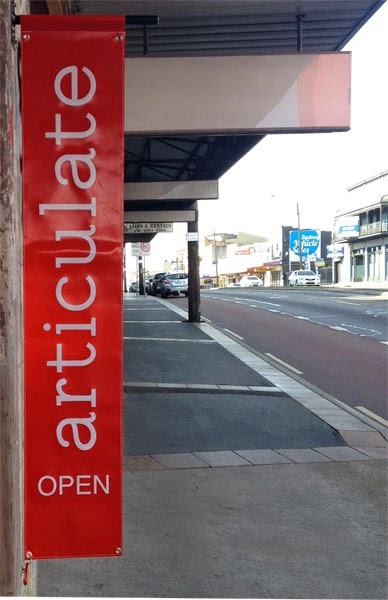 FERRET is the third of Articulate's FAIRISLE/FERAL projects that present the exhibition as a changing site. It aims to show the work of 60 artists and is designed so that two different exhibitions intermingle each week like a slow and progressive artists' dance. Each step in the dance can be seen by coming to the five openings or weekends. FERRET 1 will open Friday 26 January showing the work of artists black3y3dpeac3, Linden Braye, Angus Callander, Timothy Corne, Lily Cummins, Rox De Luca, Jacquelene Drinkall , Michele Elliot, Martin Langthorne, Diane McCarthy, Anya Pesce, Deborah Prior, Olivia Samman, Kat Sawyer, Kate Scott, William Seeto, Lisa Sharp, Anke Stäcker, Catriona Stanton and Emma Wise. 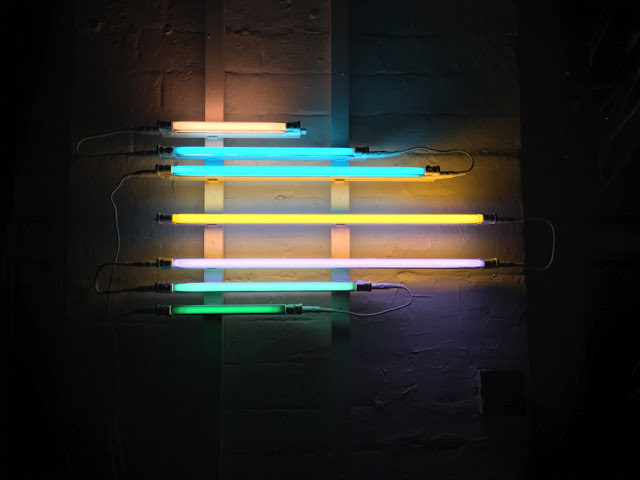 Olivia Samman, Untitled 2017 Fluorescent light and wire installation, SCA Undergraduate Degree Show. What does it mean to occupy and produce space within a gallery setting? 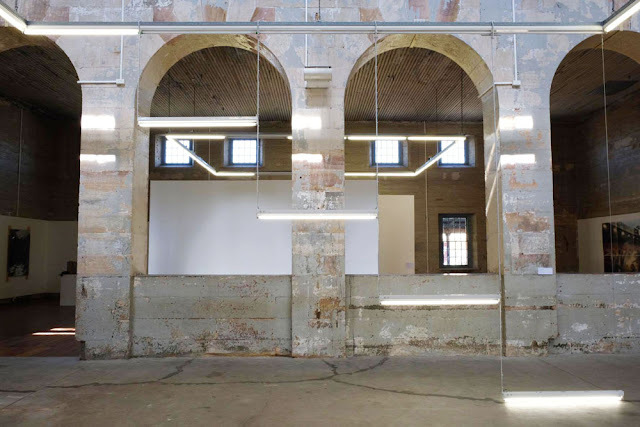 Olivia Samman’s installation practice focuses on linear form in the third dimension and minimal artistic intervention to draw attention to the architectural surroundings. She creates installation pieces that physically have minimal mass and occupy little space, however her practice creates large structure within an already structured space. Often within gallery settings we fall victim to an unaware navigation with focus solely on the displayed objects. Through spatial design and an anticipation of the audience’s gaze and perception, Samman’s installation art draws attention to the space as a whole and guides the audience to view elements in the surrounding space and view them as art. FERRET 3 will open Friday 9 February showing the work of Sue Callanan, Bianca Burns, Damian Dillon, Nicole Ellis, Simone Griffin, Adrian Hall , Barbara Halnan, Laine Hogarty, Fiona Kemp, Raymond Matthews, Alycia Moffat, Louise Morgan, Sarah Newall , Isaac Nixon, Renay Pepita, Elizabeth Rankin, Ambrose Reisch, Margaret Roberts, Tamsin Salehian, Sandra Smith, Sarah Woodward and Jeff Wood. FERRET 4 will open Friday 16 February showing the work of Susan Andrews, Julia Davis, Damian Dillon, Nicole Ellis, Michelle Grasso, Simone Griffin, Adrian Hall, Barbara Halnan, Lyn Heazlewood, Kendal Heyes, Lisa Jones, Michelle Ledain, Tom Loveday, Joanne Makas, Louise Morgan, Isaac Nixon, Renay Pepita, Nuha Saad, Sandra Smith, Helen M Sturgess, Elke Wohlfahrt, Jeff Wood and Sarah Woodward. FERRET 5 will open Friday 23 February showing the work of Susan Andrews, Michele Beevors, Sophie Coombs, Carolyn Craig, Julia Davis, Marta Ferracin, Sarah Fitzgerald, Jane Gavan, Michelle Grasso, Lyn Heazlewood, Caitlan Hespe, Kendal Heyes, Elizabeth Hogan, Lisa Jones, Michelle Ledain, Tom Loveday, Joanne Makas, Alex Moulis, Nuha Saad, Eva Simmons, Helen M Sturgess, Yoshi Takahashi, Sienna White and Elke Wohlfahrt. FERRET is called FERRET because it sounds slightly like FERAL of 2015, which was named FERAL because it sounded slightly like FAIRISLE of 2013 (titled because of the progressive nature of the Fairisle knitting pattern) and because, like FAIRISLE, its overlapping structure is a slightly feral form of exhibition practice. Follow the links to documentation of the earlier FAIRISLE and FERAL 1, 2, 3, 4 and 5 projects.